Murder endless zombies! Go through doors? You can win, can you work out how? Dive into the center of the earth... FOR SCIENCE! Will she learn to control her power, or will it control her? A short 2d puzzle platformer. Keep the poor bunnies away from the hungry fox! Created in 48 hours for the theme "Always Growing"
Thanks for the feedback Jonas! Kind of like asteroids with a twist, this was cool! Fits the theme really well. I like the idea of an animation to show an enemy is about to spawn! Good idea! Thank you, I think I know the cause! This was a cool idea, quite ambitious so well done for completing it. That's strange, can you be more specific? There are definitely some bugs with the score system. Thank you very much :) The controls are hard but you can reach the platform by using the double jump! Do you think there is anything I could do to make the controls easier? Wowie Jam! community · Created a new topic I released the source code for my game so everyone can use it! The code may not be the absolute best because it was a game jam but I tried to keep it neat. You can download the project and open it in unity yourself, mess around with it if you like! This looks awesome, really cool style. itch.io Community » Game Development » Release Announcements · Created a new topic Retro fun to end the year! Would love your feedback! So I just finished and published a little game called Kings Feast for free! 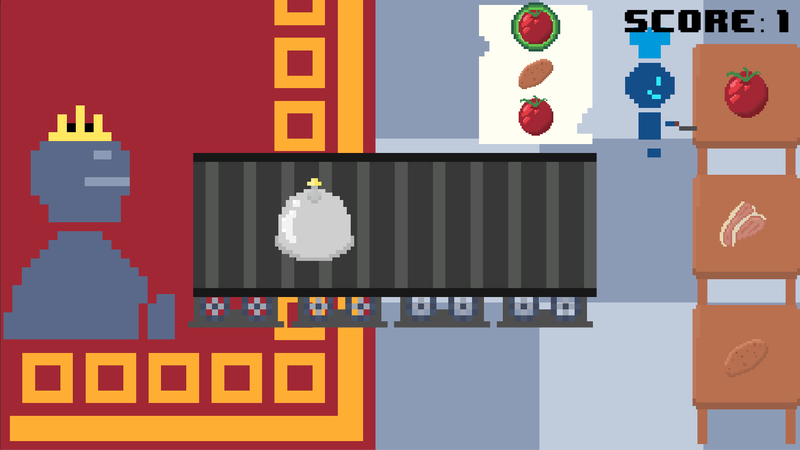 It's a little retro style game where you play as a chef cooking for the fat king. The game was originally a one hour game jam submission that I spent some time developing later because I liked the idea. I'm going to port the game to mobile soon and would love any feedback on the game so that I can improve it in the process. Please come check it out, it's completely free and available on Windows, Mac and Linux! Awesome for your first 48 hour jam! Really addictive and fun game!